If you think you are completely covered because you have “full coverage” car insurance, you should know that full coverage doesn’t actually exist— it is a term often used to refer to the combination of state-required liability or no-fault car insurance and collision and comprehensive car insurance coverage. Medical coverage is optional coverage. What does medical payments coverage cover? The medical payments portion of your policy pays for covered medical expenses up to policy limits for this coverage for anyone injured in your vehicle – regardless of who’s at fault. It also covers you and your family members who might be involved in an accident as a pedestrian. In some states, medical payments are covered under Personal Injury Protection (PIP), a type of car insurance, also known as no-fault insurance. PIP is available in certain states and pays medical expenses, and in some cases, loss of income, essential services, accidental death, funeral expenses, and survivor benefits, regardless of who is at fault in an automobile accident. If personal injury protection is available in your state, evaluate what your health insurance will cover and what it will not – and how it will impact the cost of your health care. Get a fast, free car insurance quote from Freeway Insurance in about two minutes. 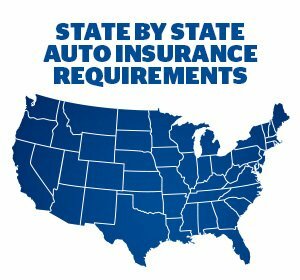 When you request a quote from Freeway Insurance, you’ll be able to compare car insurance rates for multiple car insurance companies to choose the policy that best fits your needs and budget. Request a car insurance quote online or by calling us at 800-777-5620. Your Freeway representative can also explain how medical payments coverage can protect you.